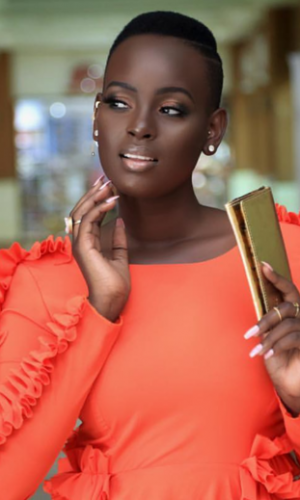 Makeup artistry in Ghana has become big business in recent times and it is not surprising that international cosmetics companies are gradually opening branches here in Ghana to tap into new market. On Saturday, November 3, France manufactured NOTE Cosmetics launched at the Holiday Inn Hotel and it was a big occasion for beauticians and makeup artistes to scout for new products to enhance their work. The glamorous launching was also attended by the beauty and fashion trendsetters, entertainment gurus as well as makeup lovers in Accra. In his presentation at the launch, Marwan Saouda, Managing Director of Silverqueen Cosmetics, suppliers of NOTE Cosmetics said he was very confident the brand will be a successful cosmetic addition to the Ghanaian market and the sub region as well. “In just a few years since its global launch in 2014 in Paris, the cosmetics brand has been inspired by its passion for living and we hope it will be great impact here in Ghana as it had in many European countries and beyond. “NOTE make up is ready to please its consumers, with products that are a blend of skincare technology with ample shades and choices,” he said. The brand offers a range of face powders, foundation, pencils, lipsticks and lip products. In an interview with Showbiz on the sidelines at the launch, the Sales and Marketing Manager for Note Cosmetics, Berk Aslan, said the product is friendly to users with different skin textures and of different cultures. The day wasn’t just about only makeup and cosmetics as soul singer, Cina Soul was on hand to entertain patrons with some soothing tunes. There was also a performance by Mike Sax as well. There were also demonstrations of the quality of NOTE products by models who graced the runway wearing different NOTE products including lipsticks, eyebrow pomade, eye shadows, mascara among others.